Spring is around the corner. 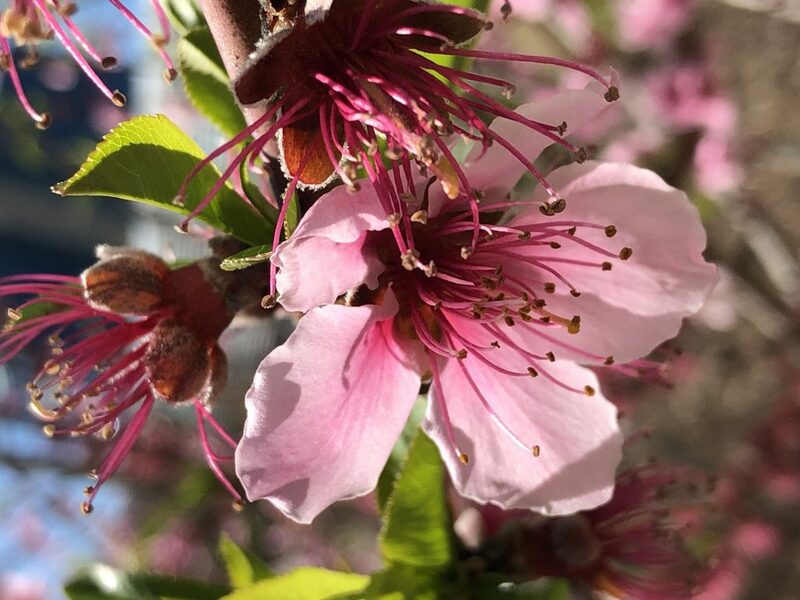 You already may have noticed blossoms of fruit trees if you are living in a warmer climate. Some of the blossoms are aromatic and colorful. These blossoms will disappear shortly. All the beautiful petals will fall-off and the blossoms start turning into fruits. Fruits bring us similar joy as the blossoms did. This is part of process of nature. Imagine if the blossoms resisted losing their petals and their transformation. After all, they are beautiful, and people enjoy watching and smelling them. If they do not lose their petals, there would not be any fruits and fruit trees would not deliver what they were destined for. Like blossoms, we may have many beautiful things that we do not desire to let go of. Our predictable relationships, our youth, our comfortable jobs, our aging parents, our pets and friends. This is not possible to hold on to. Like the fruit tree blossom, we are on a path of destiny that requires letting go with a graceful transition. Blossoms let go of their petals with ease and transform with beauty and grace. We are also required to appreciate the beautiful (and not so beautiful) experiences that we have had and let them go when required. Every stage of letting go, brings us depth of feelings, new perspectives, maturity and growth. What beautiful experiences are you holding on to that requires letting go to enhance your growth? What bitter experiences are you holding on to that requires letting go to enhance your growth?